Posted on April 13, 2014 by Lena K.
Description: Komatsu Keiko and Saeki Ran are roommates. 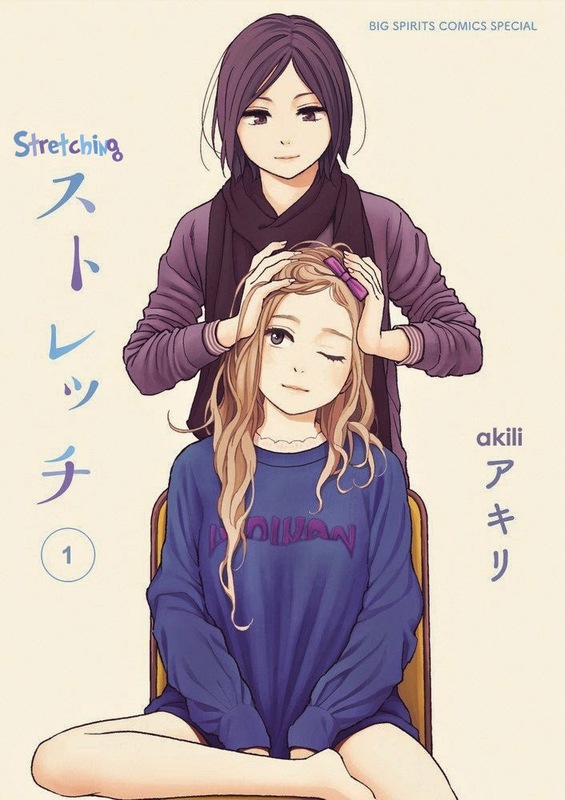 The kouhai, Ran, is studying to become a doctor and introduces Keiko to stretching. This is their everyday life and how they implement stretching within their lives. Well, I’m still not sure what to think of this manga. Sure, it’s done by the same author as Prism, but that doesn’t make this one an immediate hit as well. In fact, I still can’t really see where this is going. Is there going to be some yuri? Is there going to be an actual story? I don’t know, but I sure hope so. Description: Satoka is the daughter of a local shrine and lives together with Kotori, who may look like a normal and energetic girl, but is actually a matchmaker god in training. This series is about them, Satoka’s chilhood friend Shiori and the mysterious Hiwa, dealing with their everyday lives and the relationships around them. Haa~ How much I love this manga. It’s not really that yuriish (yet) and it migth never be, but the the great characters and especially cute Kotori make this one enjoyable beyond belief. I guess some people will call this boring, but for me, this is just a very relaxing and cute manga with a lots of hugging and cute characters. Description: Sakura (a down-to-earth girl), Akane (a loli), and Yuriko (an otaku) have been friends ever since they met in high school. They all wanted to become teachers and now that they’ve grown up somehow agreed on living together. The story depicts their lives as teachers. 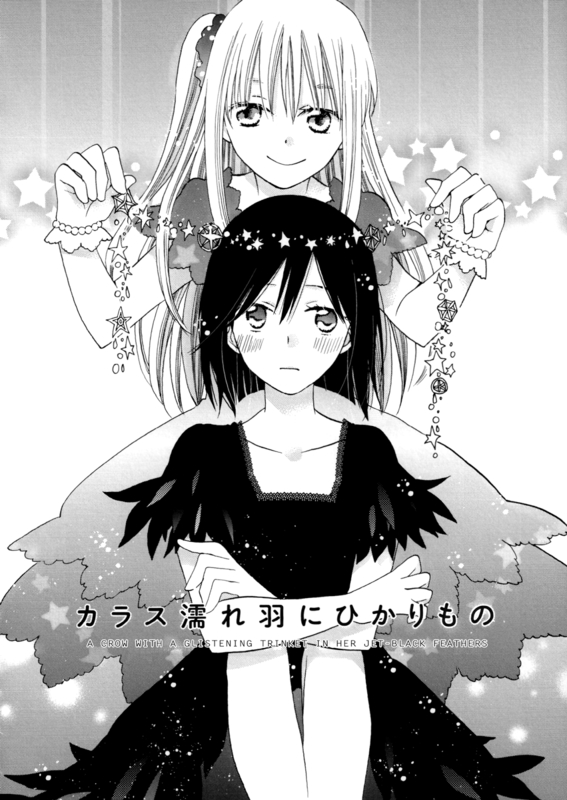 Gakkou no Sensei is actually not a yuri manga. It shows some subtext here and there, but it’s mostly only there for comedic reasons. Nevertheless, I really enjoyed this one, and I’m very glad it was picked up again. Description: It’s the story of a transfer student who falls in love with one of her new classmates, who happens to look exactly like one specific game character she loves. Takemiya Jin rarely fails to please, so, of course, this manga yet again hit the right buttons for me and made me fall in love with it, after only reading the two chapters that have already been translated. 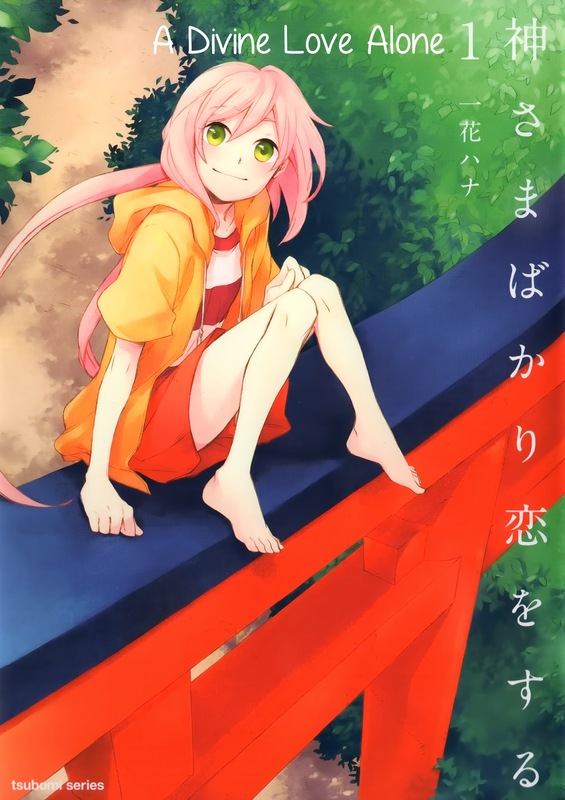 However, I’m still not the biggest fan of Takemiya’s art, but I think she really improved lately. Description: A collection of six of Yotsuhara Furiko’s short stories depicting the love between various girls. 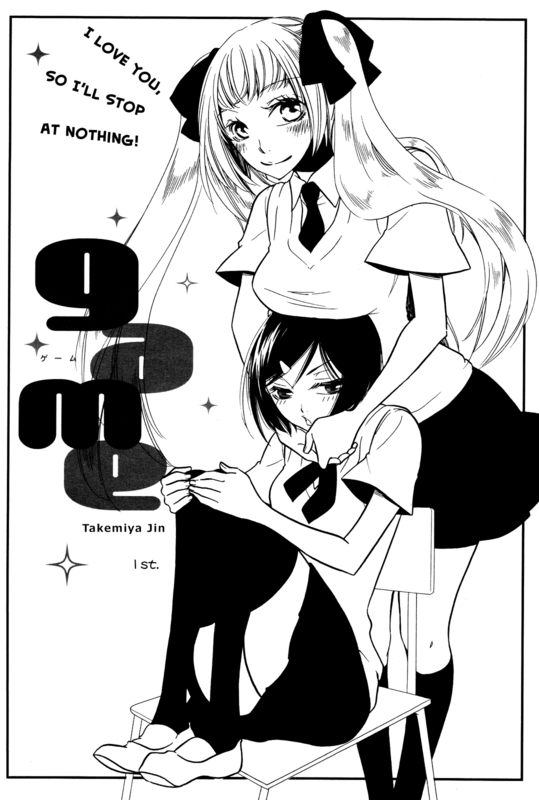 The title story is set in a university, with Yuriko, a girl of the jou-sama type, being followed around by her puppy-like female friend Koroku. While eating lunch one day, Yuriko overhears some malicious gossip and her ensuing bad temper leads her to take Koroku to a hotel, where she tells her to do whatever she likes…. These are just some more or less unrelated short stories, but damn, they are so good! I love great one-shots, but they need to be able to get me interested within just a few pages, which can be quite difficult. Yutsuhara Furiko is luckily one of those authors that manage to do so with each and every new story she releases, which makes her one of my favorite one-shot authors. Description: Moe confesses to Yuuka who rejects her harshly in a haughty manner different from her usual “good girl” personality… but Moe seemed to enjoy it? To be honest, when I first started reading this one, I found it a little weird, but the more I read and the more I got to know the character, the better it got. The most recent chapter, namely chapter 8, was probably already the climax of the story, maybe even the end. And that chapter did everything right in my eyes and transformed a good story into an awesome one. I have some more recommendations that I will probably name in one of my next lists. These manga only have one translated chapter so far, which is why I won’t name them in this list. Unfortunately, it recently seems like many different manga are picked up, but take forever to be updated again, and I feel like many of them will probably never be finished at all. So I really hope that good ones like No Dignity for the Captain, for example, won’t just be forgotten…. 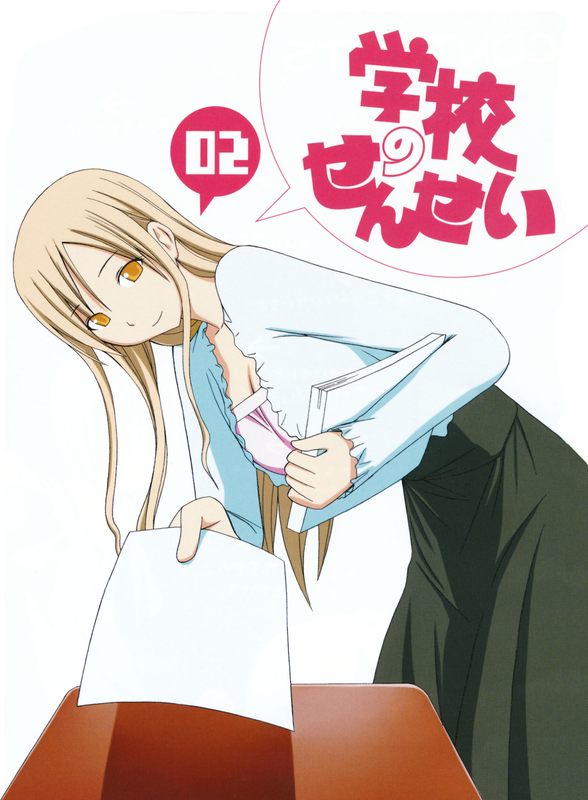 This entry was posted in Manga, Recommendations, Yuri and tagged A Divine Love Alone, Gakkou no Sensei, Game, Laika Pavlov Pochihachikou, Stretch, The Real Her by Lena K.. Bookmark the permalink. 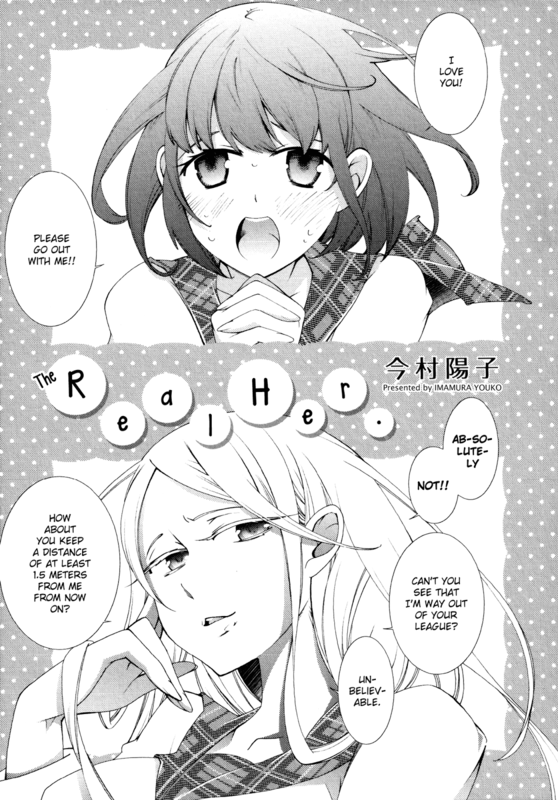 Just read The Real Her first and that ending, it was everything I want in a yuri story. If that was the last chapter, I would be cool with that it made my day. Perfect ending great weird characters, 9/10 I'm slapping it on there. If that isn't the ending and it really is still ongoing. I want to see how they top that. I can't really find any information on whether this is finished or not. Stretch, I read on dynasty scans on April 1st because it had a “Yuri” tag…I'm sure you can feel my disappointment when April 2nd came xD. It's okay, not really my thing. I also feel like A Divine Love Alone could be much better and it might actually turn out to be great at some point. And while I also like things they way they are right now, I'm waiting for much more. Gakkou no Sensei and A Divine Love Alone are amazingly comedic and cute; if I already hadn't spent my monthly expenses on a shipment of Yuri manga and on Hyperdimension Game Neptune Re;birth 1, then I would be buying them off Amazon right now. I was about to buy A Divine Love Alone as well, but just like you, I ran out of money and I had some other things that I wanted more. Never bought anything from Amazon.jp though, I heard it's really really expensive. The way I read it, the two WERE closer-than-close and they've traded off being in love with each other – though not at the same time. They haven't dated girls probably but if one of them had confessed, they would have been together. The tall darker-haired one has something really wrong with her mentally – probably schizophrenia or a tumor or something, as the grim, hallucinating childhood flashback showed and also hates her mother. The younger one acts very kouhai/little sister to her sempai/big sister but is in reality the saner one in the clinical sense and the one who always knew what she wanted to do. Which inspired the older one to get over her issues and do well in school. I think the mix between this kind of eerie drama and the lighthearted comedy, feels pretty weird at times. I'm not sure whether they are/were that close, I can see that they could be more, or could have been more, but I don't think that we'll see this any time soon. Also, I don't think Keiko is really schizophrenic. I believe that her nightmares are caused by traumatic events that include her unborn baby, her former boyfriend, and of course her mother who judged her for everything that happened. Sometimes, we just need to wait a bit longer.